Action: Highly antimicrobial, antifungal, antiviral, uterine tonic, cardiotonic, antirheumatic, antiseptic, antispasmodic, bactericidal, bechic, cardiotonic, carminative, cicatrisant, diuretic, emmenagogue, expectorant, hypertensive, insecticidal, stimulant, tonic, vermifuge. Benefits, Indications: Asthma, bronchitis, colitis, cystitis, dermatitis, anthrax, fatigue (general), pleurisy, psoriasis, sciatica, tuberculosis, vaginal candida. A general tonic for nerves and stomach. It may also help with bacterial infections, respiratory infections, circulation, depression, digestion, headaches, insomnia, rheumatism, urinary infections, viruses along the spine. More Info: Thyme oil strengthens the nerves, aids memory and concentration, can help with the feeling of exhaustion and combats depression, while it fortifies the lungs and helps with colds, coughs, asthma, laryngitis, sinusitis, catarrh, whooping cough, sore throats and tonsillitis. Precautions: It is a very potent oil and should not be used during pregnancy or in cases of high blood pressure. 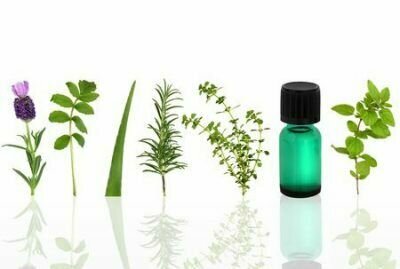 Because of the phenols (carvacrol and thymol), which can irritate mucus membranes and cause skin irritation, it should not be used for skin care products, and in general should be used in low concentrations. The anti MRSA biofilm activity of Thymus vulgaris essential oil in nanovesicles.